At some point or another, we've all been in that awful situation when someone walks up behind you while you're looking at something you don't want them to see. Whether you're tweeting during class, shopping for gifts online, or looking at something a little more NSFW, there are times when it would be nice to just click a button and have all your open tabs disappear. Luckily, there's an add-on for that. A few, actually. 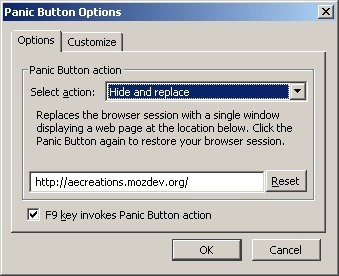 For users who browse with Chrome, Safari, or Opera, there's an add-on developed by Thomas Greiner called PanicButton that does just what it sounds like it would—it installs a panic button in your browser that will hide all your tabs with one click. Once it's installed, you can hide, restore, and even password-protect your tabs to make sure no one sees anything you don't want them to. When your tabs are hidden, the button turns green and an icon appears that shows how many are open, but you can disable that feature if you don't want it to give you away. 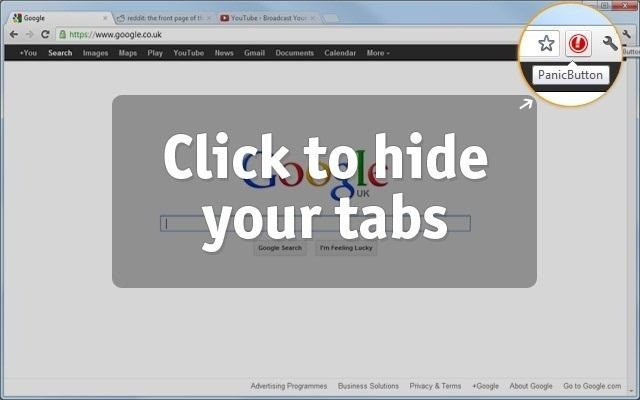 You can also use a custom keyboard shortcut (and your ninja reflexes) to hide your tabs even quicker. For Firefox users, there are two different add-ons with similar functionality. The first is also called Panic Button, although it's made by a different developer, and it does pretty much the same thing as the one above minus the password protection feature. It gives you the option to hide or minimize your tabs, or just quit Firefox altogether. The second option for Firefox is called Hide Tabbar. It's a little simpler than the others in that it uses a keyboard shortcut to hide and restore your tabs. Nothing more, nothing less. 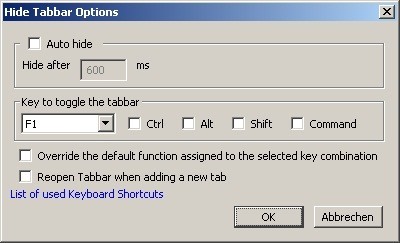 So, if you're looking for something easy to use and only need it to perform its core function, Hide Tabbar may be the way to go. So, the next time you're looking at something you'd rather not share (we won't ask), don't scramble to close out or switch windows, which just makes it look sketchy anyway. Let one of these extensions to the dirty work for you. 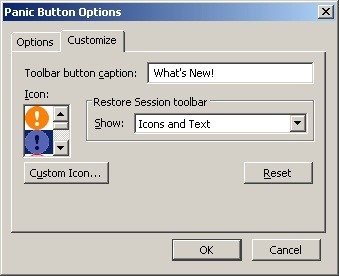 Do you know of a similar add-on that works for Internet Explorer? Let us know in the comments.